and into the Borderland Arts Blog. Our planet is at once a dangerous, explosive, and uncertain place, but also a globe of splendorous beauty and creativity. This blog celebrates the latter, the natural and man-made world that is Earth, the arts and culture that soothe our souls and minds. These observations and opinions laud the artistry of people, places, and things from here, there and everywhere. What do poems and paintings have in common? What happens when poets wrestle with images created by visual artists, and visual artists listen to the word images spoken by poets? For the months of April and May Borderland members sought answers to these questions, creating new visual images and new poems as a result. We are deeply appreciative to local poets Genean Granger and Stella Hansen who were willing to share their poetry, discuss differences in writing style and commonalities with the visual arts. 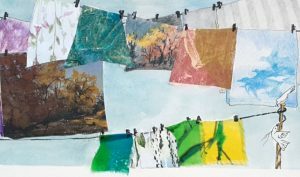 Genean Granger lived with a mixed media composition, “the Unfinished Laundry Line” by Melisse Carr, and wrote a poem, a portion of which follows. “Cascading colors: poppy, lime, blueberry, and apricot catch my eye. They jockey for position, “me” first, “no me” first, “no” pick me. I taste their colors, as they peek-out from windows in my mind. After an evening of sharing like this, there are hours of studio work that can be gleaned. structure that has given itself to time. The sky abides and waits. Stone walls calling their roof, pale and crumbled. The opening has rebuilt your spirit. Who were you? What secrets do your walls echo? Who lived here she asks? Not sure how it began, maybe it was patent leather shoes that were too tight for my growing feet. Or it was the petticoats that scratched and chaffed when I sat down. “Go have your Dad tie the bow” religiously every morning I’d report to my father who would tie the sash bow of my dress behind me. I hated dresses and petticoats and all that they stood for. Then came the combing – snarls, and snags and pulls. “stand up straight” “Look up now.” Okay, did you brush your teeth? Time to go now, the bus would be here soon. Out now hurry ..
From there it was taunts and teasing on the yellow school bus. Having to begin my day of sitting. Sitting in school, trying to learn, the teachers exasperated sent me over and again out to the hallway. One face stands out: Mrs. Edwards – grouchy, ugly and so terribly fed up with me. “Out in the hall” I’d stand till she would come out. Her eyes blazing as she grasped me by both shoulders – shaking me back and forth.. How I had better learn to keep my mouth shut and quit talking and sit still. I resented it all. The sitting still, the “act like a lady” talk, the petticoats, and frilly dresses that needed some grown up to allow me in and out like a dog on a short leash. Finally it was bus time and the first one on was always the last one off. Most days there was our sweet Golden Retriever waiting for me and we would tumble after one another home. Then there was freedom: woods, play clothes and dirt and the most humongous leaf pile from the golf course across the road. 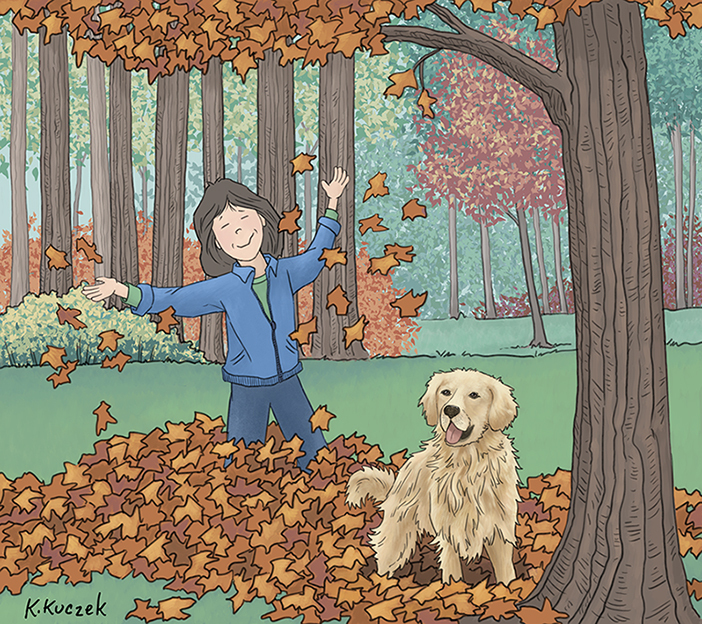 There in a mountain of leaves and grass the earth was warm and filled with lots of worms, my friends. The worm patch, the woods, the leaves. 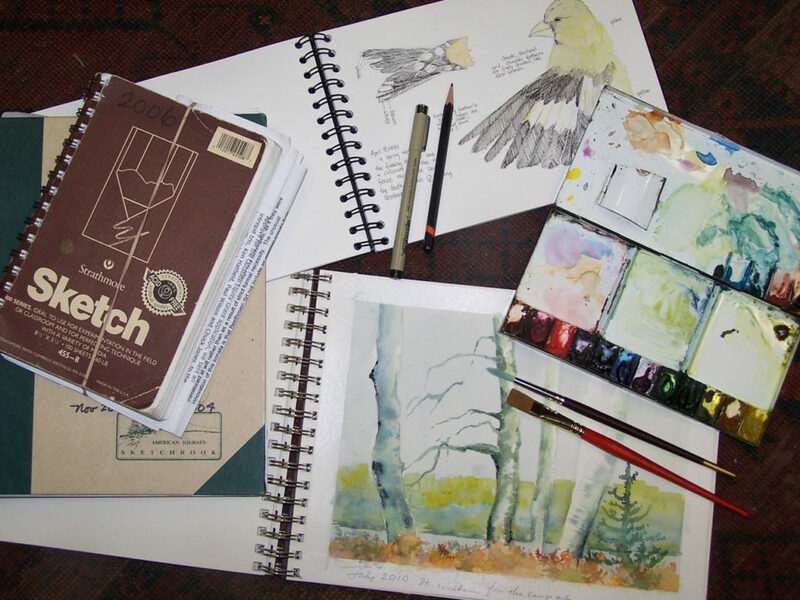 Life in a sketchbook …. I have a confession to make…I have a habit I am not willing to kick! What do I grab when I go even for a simple trip? Yup…you got it…my traveling studio, because I never know what I might see that needs to be remembered! We (that would be Mrs. Blog and me) have had the great good fortune to enjoy the glory and fun of outdoor adventures. From hiking, backpacking, climbing hills and mountains, kayaking, ocean sailing to just absorbing the sweeping grandeur of sites, both natural and man-made. But in this dispatch we retreat, mostly indoors, to share visits to those splendid edifices, large and small, that are museums. It’s a benign pursuit that is richly rewarding, and most of these places have interesting, if not outrageous, back stories. It was a cloudy autumn day on October 22, 1895. The Granville-Paris Express was running late on its way to the Gare Montparnasse terminal in central Paris. Anxious to make up time, the engineer, Monsieur Guillaume-Marie Pellerin, was driving the train at a hasty clip. It entered the station still barreling along. 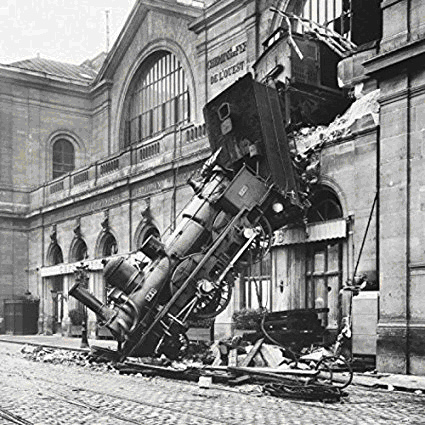 The brakes failed to fully stop the train and momentum carried it through the entire concourse. It crashed through a wall and fell outside into the Places de Rennes, some 33 feet below. Over the following decades, the station became less and less relevant. By the 1970’s it was slated for demolition. Then the idea to construct a museum was introduced. 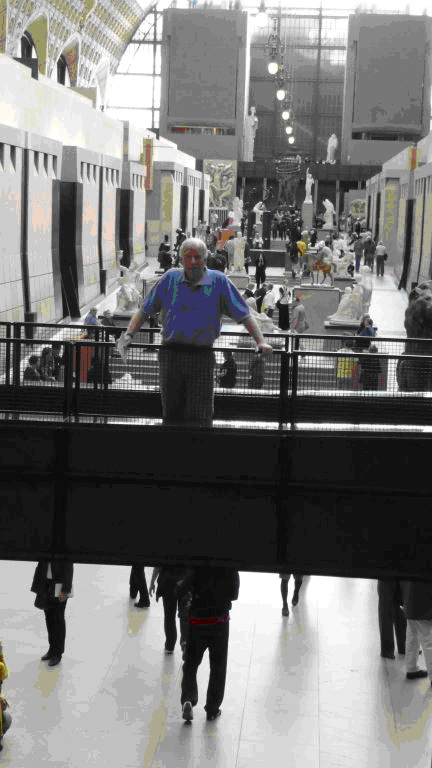 It would be a figurative bridge between the Louvre and the National Museum of Modern Art. In 1986 the old railroad station opened as the Musee d’Orsay. Located on the Left Bank, it’s one of our all-time favorite museums. Now we cross the Seine to the Right Bank to see the world’s most famous museum, the Louvre. It’s also one the largest and has over 8.5 million visitors a year. 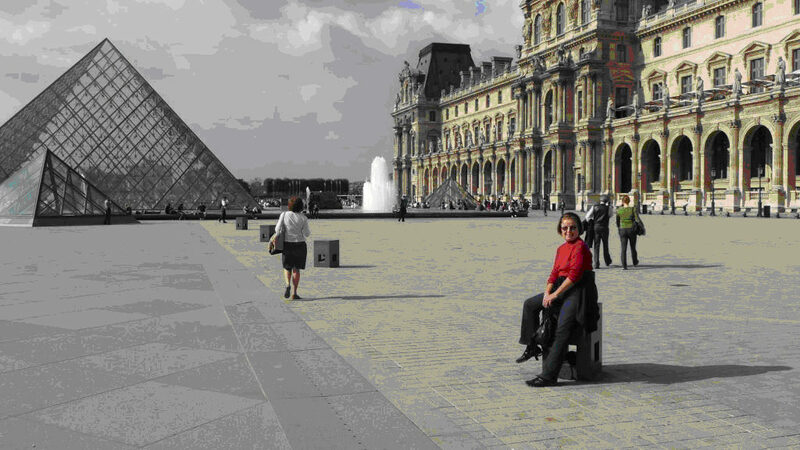 The Louvre is the very definition of a museum: a repository for historical art and artifacts. It conserves, exhibits and researches its inventory, invigorating the knowledge, the enjoyment and the beauty of their treasures. And it does all of this in a most perfect way. It’s pre-eminent reputation seems sullied in the eyes of some Parisians regarding the pyramids (one large and three other smaller ones). Critics feel the structure intrudes on the aesthetics of the imposing and stately historic Louvre, a centuries old castle that was once the world’s largest royal palace. In any event, however, the complex is a must-see site. The crowds can be overwhelming at times, but almost any price should be endured to see the vast collections of art and artifacts. It’s interesting to see the people viewing (or attempting to view) the Mona Lisa. One hears constant murmurs as the visitors navigate the sea of people: “I can’t see it”; “It’s so small”; “Would you please move”. And when one needs some fresh air after a day at the Louvre, it is a short walk to the beautiful Tuileries Gardens. 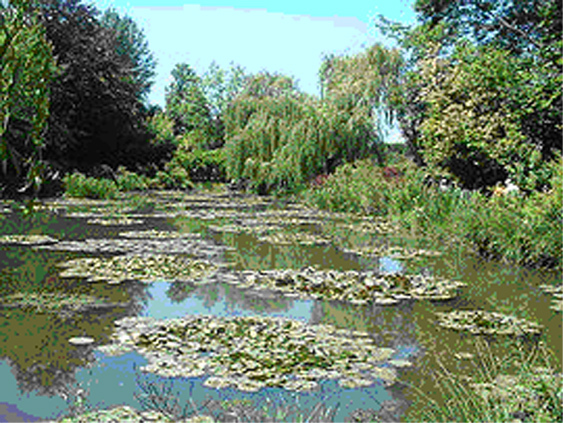 Also on the River Seine’s Right Bank, but 50 miles northwest of Paris in the bucolic village of Giverny, is the awe-inspiring Monet Gardens. Breathtaking flower gardens, the meandering lily pond and Claude Monet’s house comprise this splendid place. Monet lived here for 43 years until he passed away in 1926. The gardens and lily pond offer an explosion of color and seemingly endless subjects and scenes to paint. One of the most beautiful scenes where Monet enjoyed painting is the Japanese Bridge. It was a grand trip to Grand Rapids for the eighth annual ArtPrize fest. It was an especially pleasurable journey downstate when one’s spouse (Darlene Strand) was among the chosen artists. ArtPrize is a big deal. Really big. About 14,000 artists from around the world apply; approximately, and only, 10% are chosen. The entries come from roughly 45 states and a few dozen foreign countries. And that ten percent represents some of the most unique, creative, sometimes outlandish, always interesting art imaginable. The artwork is displayed at 170 venues around the city, mainly in downtown Grand Rapids, as well as at the Frederik Meijer Gardens & Sculpture Park, which we’re happy to tell you is alone worth the seven hour ride from the Upper Peninsula. (More on the Meijer Gardens in an upcoming Blog). BY THE NUMBERS. Some 51 artists from the U.P. are showing their work in ArtPrize. It is not only an exhibition but also a competition, with a total of $500,000 awarded. Recipients are judged by the public as well as by a jury of professional artists. The entries fall into four categories: Two-Dimensional, Three-Dimensional, Time-Based, and Installation. 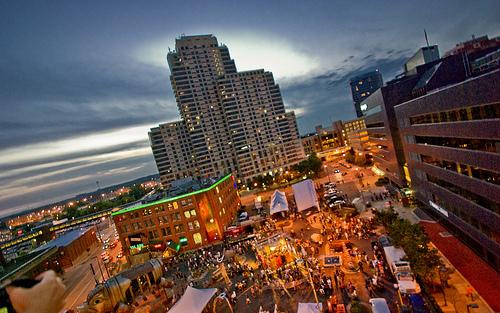 ArtPrize has been described by The Art Newspaper as the most attended public art event on the planet! An estimated 500,000 people will see this year’s festival. VENUE VARIETY. Venues include locations you would expect, such as galleries, museums, and public parks. Other locales are lobbies (particularly at downtown hotels and theaters), buildings of many sorts, restaurants, bars, bridges, retail stores, walls, churches, markets, even the Department of Corrections, body shops and laundromats. In short, Grand Rapids – both indoors and outside – becomes a gigantic kaleidoscope of the visual arts. Represented are nearly all art forms, including abstract, traditional, modern, graphics, calligraphy, industrial arts, sculpture, photography, etching, ceramics and lots more. THE CITY. Grand Rapids is a progressive, diverse and really cool city. And one with a sense of humor: a large office building downtown is called The BOB, short for Big Old Building. It is quite-community minded, with hundreds of volunteers in brightly-colored vests, emblazoned with the legend “Ask Me.” They are friendly, well-informed, and help visitors navigate the various and dizzying array of venues. ArtPrize was founded by the DeVos family and their DeVos Place and Performance Center is a key venue in the downtown area, with a large and impressive display of art. If perchance you’ve missed this year’s ArtPrize, we highly recommend it for the future. You’ll truly enjoy it. Art is truly, universally found all around our world, in every imaginable place, on every continent. Here in Borderland, our newest gallery is located at Frame U.P. & Art Supplies at 809 Carpenter Ave. in Iron Mountain (in the Hairlines Building). Karen Kunesh, a long-time employee of Stevens Decorating & Framing, purchased the business from Joe Stevens this year and moved the store a few blocks away. With considerably more space, she added a gallery. 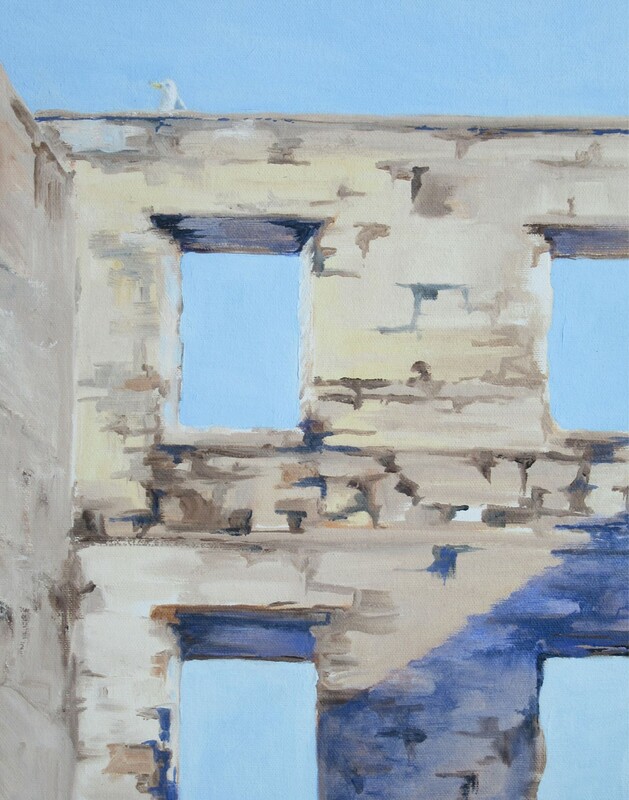 The exhibits include works of around a dozen local and regional artists, many of whom are Borderland Arts members. Additionally, there are regular creative classes at Frame U.P; some students’ art works are also exhibited in the gallery. Well, you may be surprised to learn that one of the biggest events in contemporary art will be taking place on that sprawling, frozen wasteland unpopulated by humans that we know as the seventh continent, Antarctica. 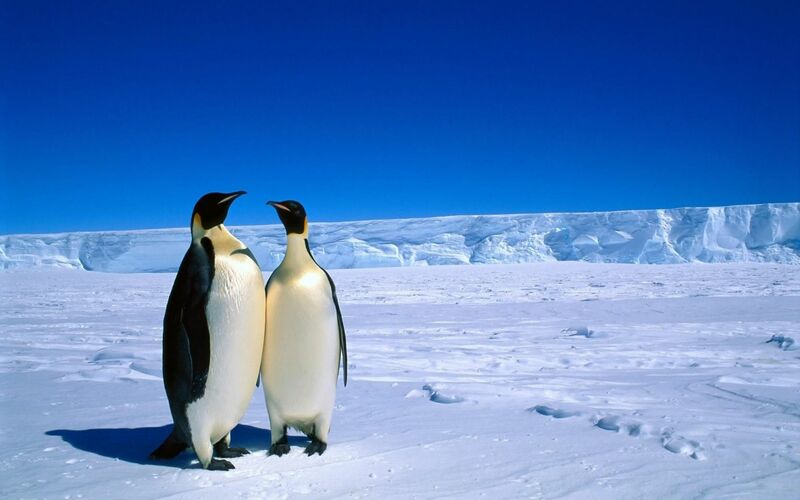 The viewing audience will be limited for sure, but there are research stations and other scientific facilities whose employees will welcome the 2016 Antarctic Biennale. Initiated by a curator from Venice and Russian artist Alexander Ponomarev, the show will be held aboard research ships. Over 100 artists are expected to display environmentally friendly pieces that are portable and stand up to the harsh weather conditions. At each stop, artists will make and display objects, installations and performances. This show is planned to take place every two years with the aim to present itself as a “floating laboratory of ideas about humanity”. 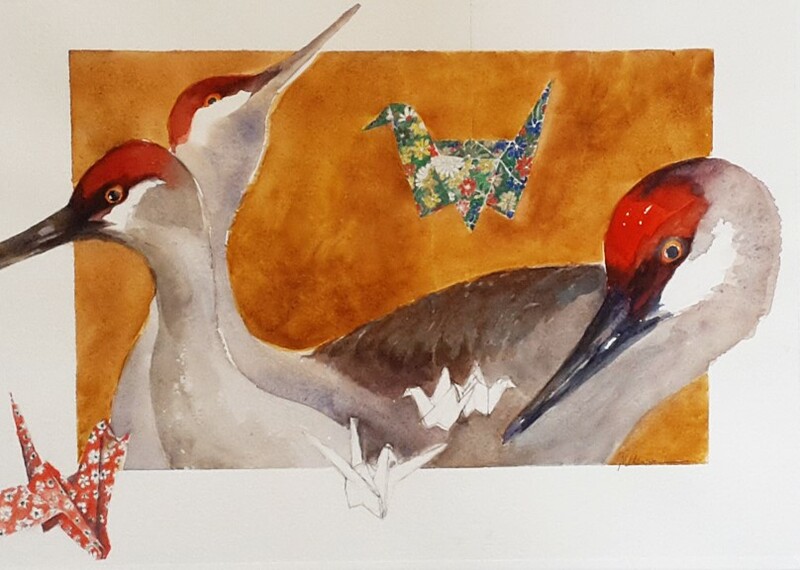 Lori June Houle-Pascador on Life in a sketchbook ….